Things have been happening lately in probate law – both in the Tennessee legislature and Tennessee appellate courts. Are you completely comfortable with your understanding of them, and how they impact your client counsel decisions? The Tennessee General Assembly passed a bill granting the personal representative the right to access the content of the decedent’s electronic communications, including his or her Facebook account. State lawmakers also reversed the impact of an appellate court decision that held the formalities of a will were not met when a witness signed an affidavit but not the will itself. And in the courts, the Tennessee Court of Appeals ruled that a trial court erred in relying solely on a local court rule setting a personal representative’s fee as a percentage of the value of an estate. The appellate court also considered what amount of knowledge of a spouse’s assets is required to uphold the validity of a prenuptial agreement in a case in which the surviving spouse challenged an agreement. Use this 60-minute on-demand webinar to learn the very latest Tennessee probate developments. Tennessee Probate Case Law & Legislative Update — is just $107. Rebecca Blair is the founding member of The Blair Law Firm in Brentwood. She has substantial experience in many aspects of civil litigation, including tort law, insurance coverage litigation, business litigation, and probate litigation. She is also listed as a Rule 31 General Civil mediator. She was selected to a list of Top 50 Women Lawyers in the Mid-South in 2013 by Mid-South Super Lawyers. She enjoys an AV Preeminent Peer Review rating in Martindale Hubbell. 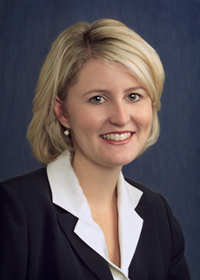 Julie Travis Moss is a practicing attorney with more than 17 years of diverse legal experience. She currently works of counsel with The Blair Law Firm where her practice focuses on estate and trust administration, estate planning, guardianships and conservatorships and related litigation. Her past general law practice included estate planning and administration, real estate, business planning and family law. 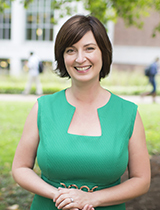 Ms. Moss has taught legal writing at Vanderbilt Law School since 2013.